Located on Unthank Road, the Cathedral of St John the Baptist was built as a parish church dedicated to John the Baptist between 1882 and 1910. It was consecrated as the cathedral church for the newly erected Diocese of East Anglia and the seat of the Bishop of East Anglia in 1976. 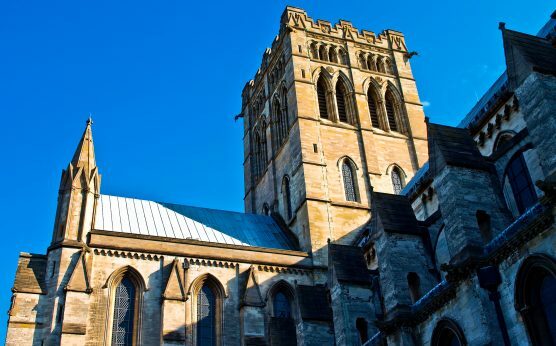 It is one of two cathedrals in the city of Norwich, and is the second largest Roman Catholic cathedral in England (the largest one being Westminster Cathedral). The Cathedral Narthex has a range of visitor facilities including a cafe and a shop. If you have the time and stamina, join a tower tour and climb 280 steps up a spiral staircase to the top of the tour. You will be rewarded with a fantastic 360-degree view of Norwich. Check the cathedral’s website for more details. 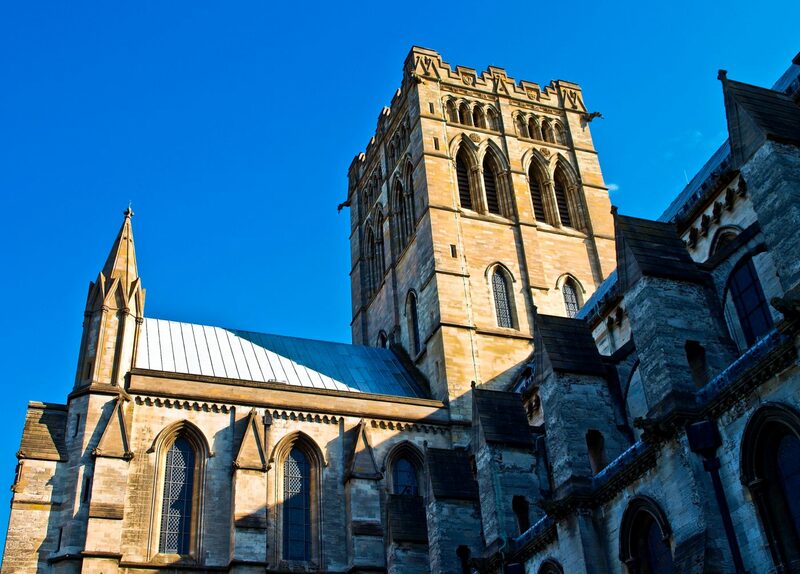 The cathedral’s garden is a secret haven close to the city centre. It was created with the help of dedicated volunteers, and is now home to several heritage varieties of fruit trees, formal lawns, island beds – including the original rose memorial garden – and beautiful paved walkways.